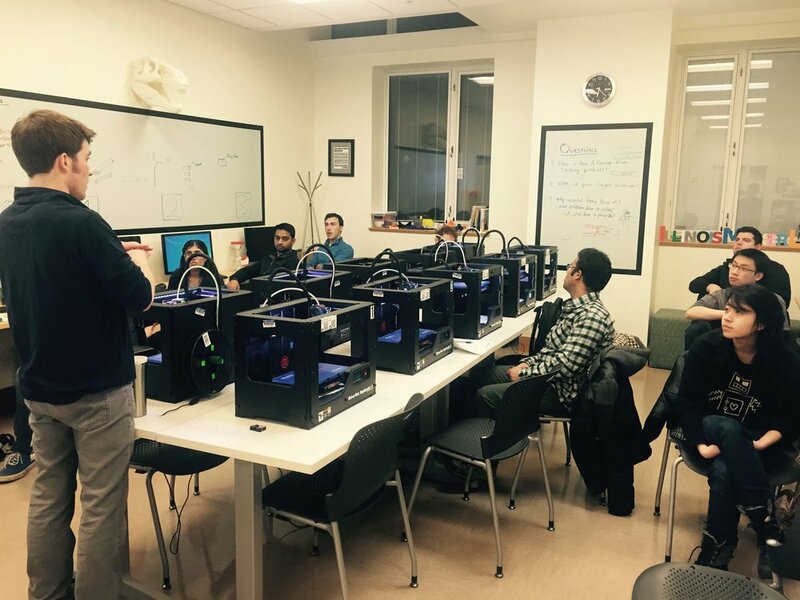 The MakerLab workshop series has been a huge success and we have Autodesk Fusion 360 to thank for this. Thanks to their support we have managed to spread the Maker spirit across campus to students and faculty members and even the Champaign Urbana Community. Currently, the workshop series includes 3D Printing, Basic 3D Design(TinkerCad), Advanced 3D Design(Inventor), 3D Scanning and the MakerGirls series. With the support from Autodesk, we are developing another workshop in Advanced 3D Design using Fusion 360. Autodesk has also launched an initiative to enhance student skills in 3D Modeling, by incentivizing them to create Cool 3D Models. The response for these workshops has been phenomenal. All workshops were filled up within just a few hours! We will be offering more workshops very soon. So far we have had 210 sign ups for the 17 workshops organized for March and April. In addition, we have 48 sign ups for the MakerGirls workshop series! Help the MakerLab in its mission to help students and spread knowledge. Stay tuned for updates by subscribing to our blog feed, or just get our posts via email. You can also like us on Facebook or follow us on twitter to stay updated. Have an interesting story about making at the lab? Just drop us a note at UIMakerLab@illinois.edu.